my mom made this recipe every thanksgiving and christmas. every time i make these candied yams, it takes me back to my mommy's awesome and delicious kitchen. these tender potatoes get a bath in a sweet, buttery, cinnamon-y sauce and they melt in your mouth. the easiest dish to make in the world. 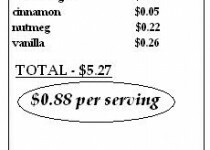 please make this recipe. 'wow' all of your family and guests. heat a large skillet over medium high heat. add the sweet potato discs. pour the water over the potatoes. sprinkle the sugars over the potatoes. add in the remaining ingredients. stir the ingredients together and bring to a boil. sweet potatoes hold a lot of water and it will look like there is not enough liquid in the pan. cover the pan and allow to cook on medium for about 10 minutes. 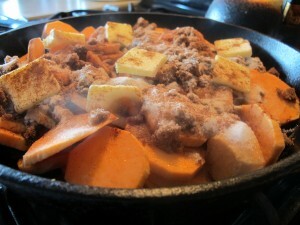 remove the lid, flip the sweet potatoes through the syrup to ensure they are all get surface area in the sauce. lower the heat. cover and allow to cook for another 10 - 15 minutes or until the sweet potatoes are tender while continually basting the sweet potatoes with the yummy sauce every 5 minutes or so. I just made this recipe for the first time. 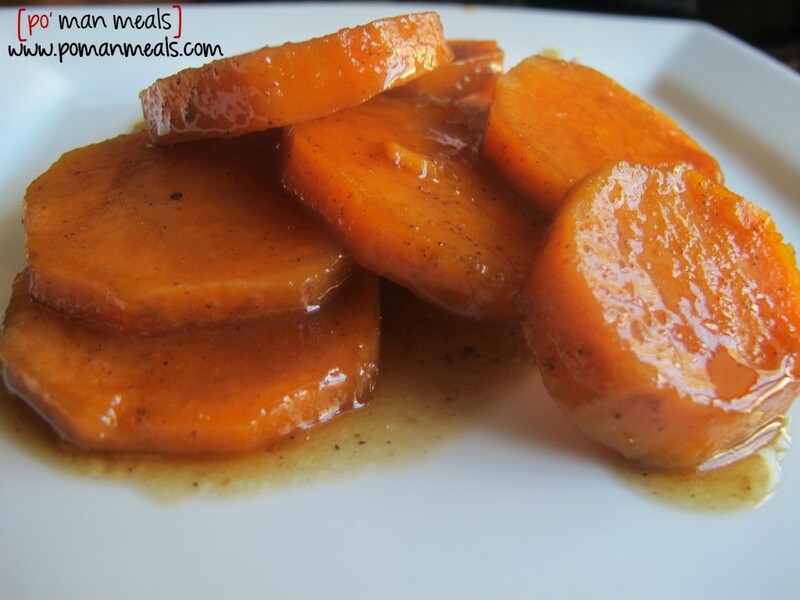 OMG… this is how I remember my grandmothers candied yams. This is going to be my recipe for them from here on out. I LOVE them! Thank you for sharing your recipe! Love these recipe!!! I was scared about the water. And Yet it turn out the way you said it would. Thank you sooooo much . The recipe is a KEEPER! Ok, so can this be frozen after it's made?